Tesla three of this host, is a mechanical chip with a protective host, listen to the name will think it, and the invasion is the same host, and in the industry are often two hosts out to compare with each other. But in fact, it is entirely different from the invasion of the three working models, the attack of the three potentiometers used to achieve the effect of boosting and regulating output, and Tesla three of this host is based entirely on the battery voltage Output host, that is, the host output voltage and the same 18650 battery, the theoretical maximum voltage is 4.2V, then the battery’s natural output, the actual output voltage will decline, roughly 3.7V, the invasion of three Is a host up to 6.6V, so the two have a fundamental difference in performance and mode. Also because of the output mode, this host is not suitable for use with ordinary fan A1 made of fan coil, fan coil made of A1 fever has the characteristics of slow heat, while the mechanical output is relatively fixed Of the same, cannot be the same as the regulator host by setting the output curve or directly increase the output power to make the coil heat quickly, so when using fancy coil requires a warm-up process can get a better effect. 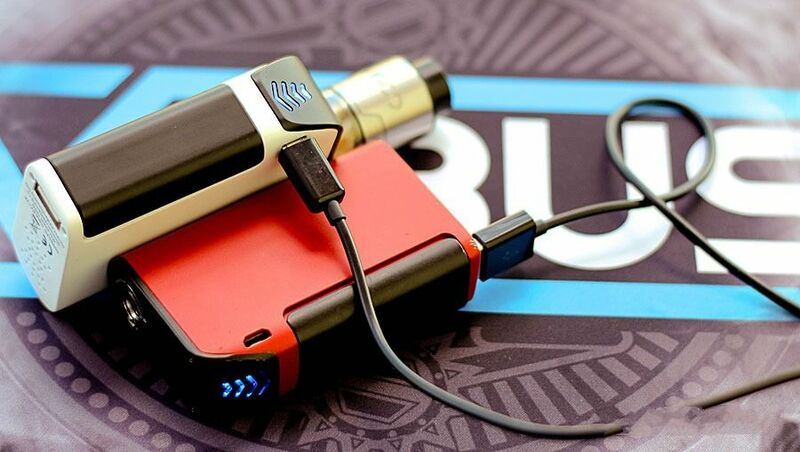 However, this mode performs very well, responds quickly, breaks fast, and has a significant amount of smoke when using a coil having a relatively simple structure and a low resistance. This host uses a built-in battery program; the battery capacity reached 5000mah, the maximum charge current can be applied 2A, 2A charging head charging takes about 3 hours, or very impressive. And the most prominent feature of this box is to be used as a rechargeable treasure in the absence of other electronic devices, imagine you go out, unfamiliar with life, the use of navigation when the phone is dead, how to do? This time will be able to take out your Electronic cigarettes, even the data cable, plug in the phone, instantly solve the awkward scenes. Then the advantages of this host are the simple operation of the mechanical mode unique, no delay, low resistance massive outbreak, lasting life, with LED power indicator light, charging Po design. 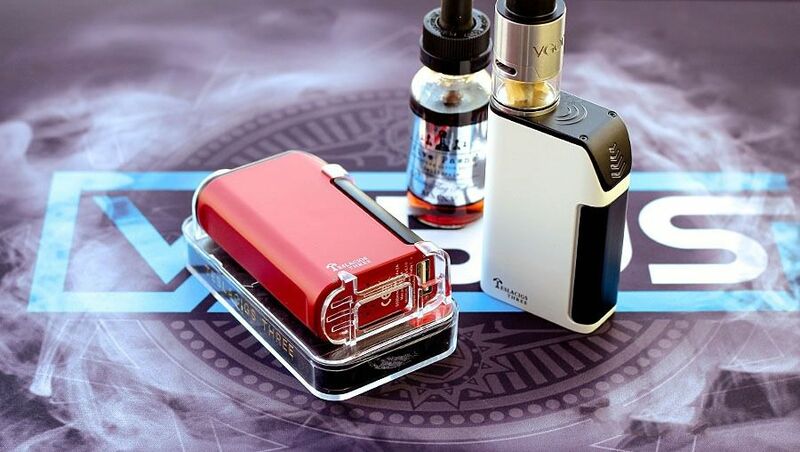 Disadvantages are relative, like unable to replace the battery, high strength atomized core output weakness, the fan-shaped heating wire needs to warm up, cannot adjust the output to change the appropriate taste and so on. 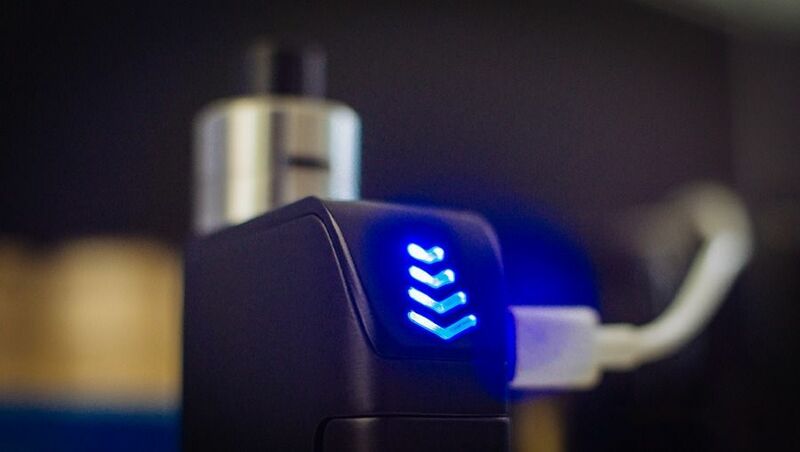 In general, this is also a very suitable electronic cigarette host for lazy and novice users.